This silly toilet-shaped mug holds up to 12oz of your favorite hot beverage and will make your co-workers do a double take. 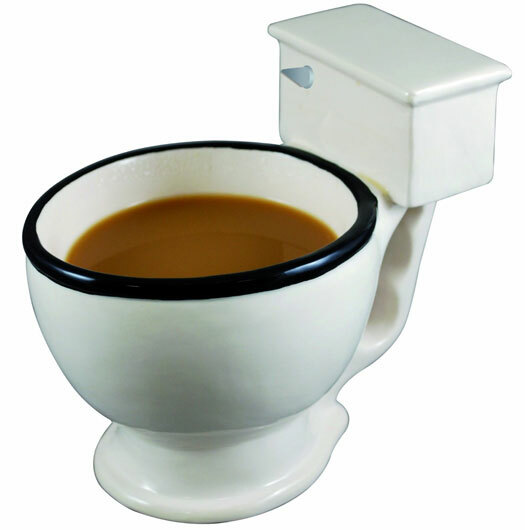 The hand painted Toilet Mug makes a great gag gift for any coffee or tea lover, and will gross out anyone who has a weak stomach. 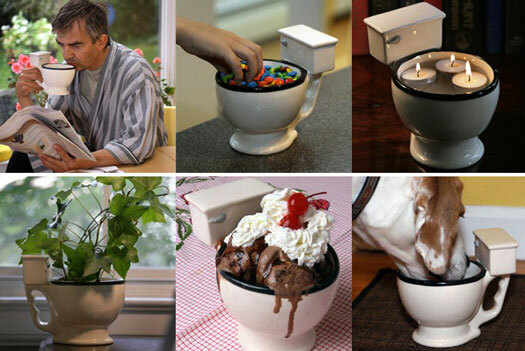 For extra laughs, fill the toilet mug with hot cocoa and marshmallows and serve it to your Grandpa. Put unwrapped tootsie rolls in it and watch your dinner guests scratch their heads in disbelief! Serve the kids cereal in it for before school laughs, or fill it with a hot fudge sundae - the possibilities are hilarious!